Burlington, VT, is in the northwestern corner of the state, aside the historic Lake Champlain and a short drive south of Quebec, Canada. The city is a dynamic place, its character molded by water sports and adventure, by the presence of the state university and other colleges, and by Vermont traditions of farming, cooking, building, and outdoorsmanship. You can visit museums like ECHO Lake Aquarium and Science Center to understand the lake’s natural and human history. Shopping and dining centers like Church Street Marketplace are a motherlode of food and goods of all kinds. Entertainment is at the Flynn Center for Performing Arts and many theaters and clubs. 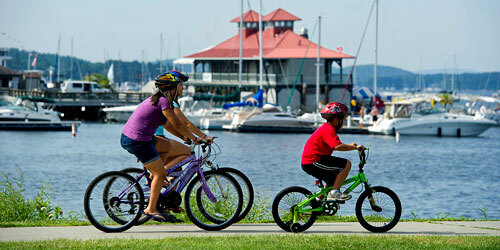 Beautiful parks are scattered along the shore and throughout the Lake Champlain Islands. Daily ferry service carries passengers from Ticonderoga, NY, to Shoreham, VT, and from Plattsburgh, NY, to Grand Isle, VT.
Amtrak’s Vermonter line runs daily from Washington, D.C. to St. Albans, VT. Major stops en route are Washington – New York, NY – Springfield, MA – Burlington, VT -- St. Albans, VT.
Shelburne Museum in Shelburne, 10 miles south of Burlington, is a fabulous trove of art and samples of Americana in 38 buildings scattered across a sweeping property of many garden plots and vast views of the lake. See paintings by Monet, Manet, Degas, O'Keeffe and seasonal exhibits. Adults and kids will love the restored 220-foot steamboat Ticonderoga, which moved passengers and cargo on Lake Champlain from 1906 to 1953. Food is sold and the lawns are wonderful for picnics. The Vermont Teddy Bear Company in Shelburne, a short drive south of Burlington, brings Teddy bears to life, by hand. Visitors are invited to a factory tour and bear-making shop. You might be surprised how complicated a Teddy Bear is inside! Vermont Teddy Bears are outfitted in a huge range of styles, and they can even have custom-made clothes. 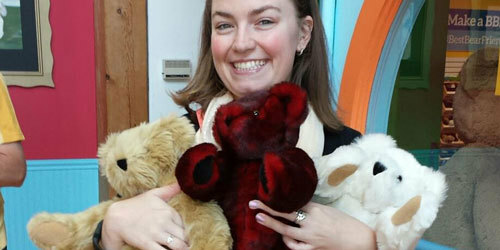 Extra bit: you can visit the Teddy Bear Hospital, where bears get repairs. Tours happen year-round; kids and grandparents love them. 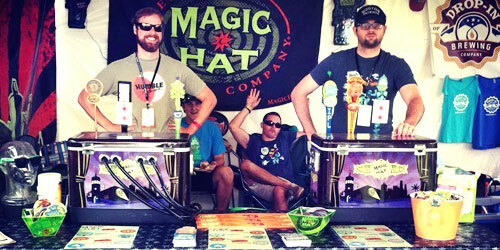 How does the magic get into the Magic Hat beers? Find out on a tour of the brewery, in South Burlington. The hub of activity is the Artifactory and Growler Bar, where 48 taps flow for your tasting pleasure. No reservations are needed to take a tour. Guided tours are Thursdays-Sundays; self-guided visits daily. Self-guided tours may be taken anytime during normal Artifactory hours. This being Vermont, you are welcome to bring your dog, on a leash. Plan to attend the annual Oktoberfest. The Burlington Waterfront Bike Path is an 8-mile trail from Oakledge Park south of town to the Winooski River in the north. The path links six waterfront parks, offering views of the lake and the distant mountains of New York. The paved biking path has with aggregate shoulders for runners and walkers. Everybody is out on the path, enjoyed the greenery, the lake vistas, and each other. Parking and restrooms are available at several points along the path. Trailside bike rentals. 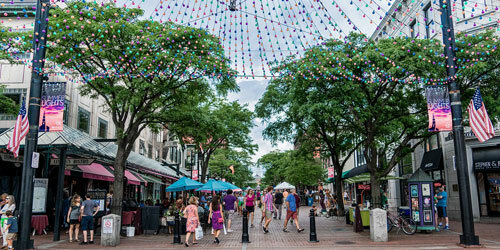 The Church Street Marketplace is an open-air pedestrian shopping and dining mall smack in the center of downtown Burlington. It takes up four blocks of Church Street between Main and Pearl Streets, and it is jammed-packed with dining (some of it outdoors); great shops; and lots of entertainment and festivities like the unique Buskers weekend of street entertainment. The whole Marketplace offers free Wi-Fi. Favorite shops include Church & Main, E.B. Strong's, Leunig's, and many more. 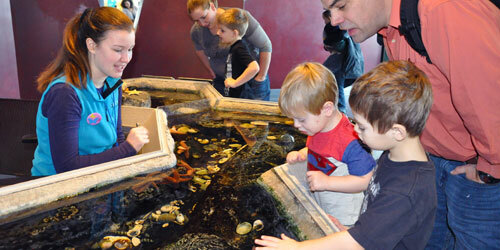 The people of ECHO Lake Aquarium and Science Center expend a lot of energy thinking of new ways to help people understand and appreciate the ecosystem of Lake Champlain, and they make learning fun. From fish species to coral reefs to shipwrecks to the native peoples along its shores, there is no topic unturned. Winter is a time to think about snowflakes; spring brings the beloved mud fling. Get place of kids to explore. And what about that lake monster? Lots of seasonal celebrations. Flynn Center for the Performing Arts on Main Street is a major performing arts venue that brings a brilliant range of talent to the city. With a 1400-seat auditorium and a small cabaret space, this is the home of the Vermont Symphony Orchestra, Lyric Theatre, and Vermont Stage Company. Major national acts appear here. Check schedule on website. Lake Champlain New England’s historic highway into Canada. 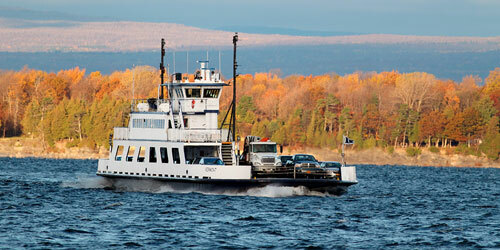 Start your Burlington visit with a cruise on the Spirit of Ethan Allen to enjoy the this dynamic waterway. Kids will have fun on the scenic narrated cruise, packed with stories of lake creatures and American history, including soldiers, sailors, pirates, and shipwrecks. Dinner cruises include Italian family dinner night , BBQ on the Bay, and lobster. Adults can enjoy cudgeling their brains on the Murder Mystery Thursdays. Penny Cluse Café on Cherry Street. We loved: cornmeal muffins, gingerbread pancakes, banana bread with walnut cream cheese. Dutch Mill Family Restaurant on Shelburne Road. All the breakfast essentials, like Eggs Bennie, with the addition of homemade bread. Staff is known for its no-nonsense personality and quick service. Bruegger's Enterprises, Inc. on Church Street is a national enterprise with headquarters in Burlington. Green Mountain coffees (of course), sandwiches, soups, salads, desserts. Union Jack's on Shelburne Road. Superior sandwiches and Brit food: bangers, hand-cut fries and Batter-dipped haddock. Universally loved by people with hearty appetites. 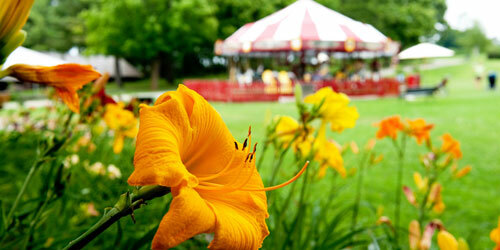 Essex Culinary Resort and Spa, a short distance inland from Burlington, is a lodging and culinary resort. Students make your meal with informed care at The Tavern, presenting pub fare and wonderful atmosphere. Leunigs Bistro on Church Street is a do-not-miss. Parisian atmosphere; great food; live jazz with dinner in mid-week. Fun street life outside.